Hotel Chocolat offered me the biggest most lush box of chocolates ever and what do I do? Turn it down for a smaller box, well actually it is a Valentine's Day Hamper, but hey I downsized! Why? You might ask. Well, because the smaller box has a raspberry riot slab. Doh! The thing I love the most about Hotel Chocolat is their flavoured chocolate. They are divine and not to be shared under any circumstances! I know that seems harsh and not very romantic, but that is just the way it is. The raspberry riot is a huge block of lush raspberry flavoured chocolate with milk chocolate poured over the top and covered with little nuggets of freeze dried raspberries and meringue. Mmmmmmmmm, I am in love. And the rest of the box you may ask. Well, it isn't half bad either. One of my personal favourites are the caramel buttons. Did I tell you how much I like their caramel chocolate too? 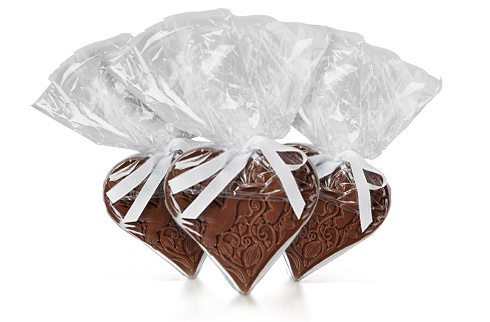 Then there is mellow vanilla truffles, engraved chocolate sweetheart, an engraved dark chocolate heart and milk chocolate hearts with a hazelnut praline filling. Hotel Chocolat have a whole range of Valentines Day Gifts, so why not pop over there and have a look? I wasn't planning on having a giveaway so soon after my 12 Days of Christmas Giveaway Bonanza, that seemed to last for months. I was going to have a giveaway dettox, but hey, I couldn't deprive you of chocolate. If you have been dieting this month, you may now be desperate for chocolate and who am I to say no. 1. Leave a comment to say you would like to win a chocolate hamper from Hotel Chocolat. 4. Follow @HotelChocolat on twitter and leave a separate comment to let me know you have done so. 5. Tweet the competition using (Win a Valentine's Chocolate Hamper from @HotelChocolat #competition #win http://www.tinnedtomatoes.com/2012/01/be-still-my-beating-heart-valentines.html) and leave a separate comment to say you have done so. 7. Like the Hotel Chocolat Facebook Page and leave a separate comment to let me know you have done so. The giveaway runs until 14 February 2012. This giveaway is open to UK residents only. I know I shouldn't but I do so love Hotel Chocolat goodies and you did a real hard sell on the hamper. Maybe it will make hubby more romantic lol! I follow Tinned Tomatoes on networked blogs and probably google connect as well, I think! I couldn't deprive you of chocolate. If you have been dieting this month, you may now be desperate for chocolate and who am I to say no. Hahaha! Oh, you're a humanitarian, Jac. I'm not here for the drawing, just to have a laugh at you. Yum, looks delicious - I'm sure I could manage to share a few items from the selection with my nearest and dearest! I haven't won a hamper in my life and this would be so ideal (wanting Janice to rub some of her luck on me). Besides this would make my husband a real happy Chocoholic - who says its just women that drool over chocolate!? I already like Tinned Tomatoes - of course. I already like Hotel Chocolat. I can never say no to Hotel Chocolat! I would love to win a hamper from Hotel Chocolat! Aghh, turn down an even bigger hamper, Jac, I'm in shock! Actually, I agree, it's much better to get something you really like. Mind you I haven't come across a great deal I don't like with HC. And yes please I would like to win a hamper. I would love to win a Hotel Chocolat hamper, their chocolates are amazing! Hubby won't buy them for me (he'll forget), I can't afford to buy them myself, so I need to win your comp to get my hands/tastebuds on the choc. Pretty please!! It goes without saying that I'd love to win this hamper! Looks delicious! phew - thanks for the giveaway! I'd love to win this hamper and promise to share (some of) it with my partner! I'd like to win a valentine's hamper from Hotel Chocolat. I follow @HotelChocolat on Twitter. I like Tinned Tomatoes on facebook. I'm following @HotelChocolat on twitter. I'm liking the Tinned Tomatoes Facebook Page. I'm liking the Hotel Chocolat Facebook Page. 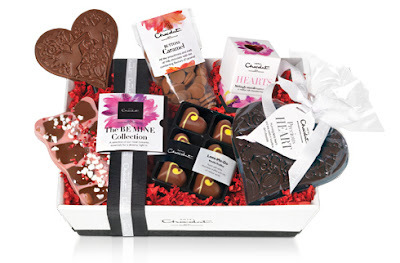 I'd like to win a chocolate hamper from Hotel Chocolat, who would't? I am supposed to be starting my diet, but that could wait if I won this! would like to win a chocolate hamper from Hotel Chocolat. Hello :) oh wow! What a super prize!